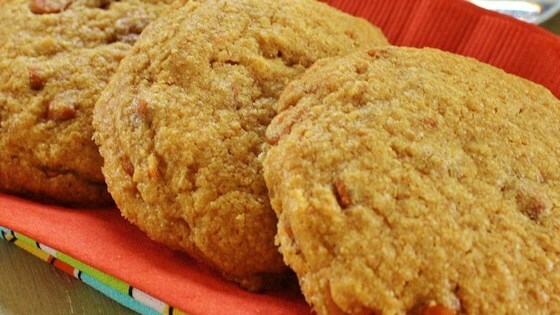 "These are yummy cinnamon cookies made with graham cracker crumbs. If you want a little variation, throw in a bag of butterscotch chips. My kids love them plain. I find it easiest to freeze the dough in logs, then slice and cook them as I want them. Enjoy!" Preheat an oven to 350 degrees F (175 degrees C). Stir together graham cracker crumbs, flour, cinnamon, baking soda, and salt in a mixing bowl; set aside. Beat the butter, white sugar, and brown sugar with an electric mixer in a large bowl until smooth. Beat in the eggs one at a time, allowing each egg to blend into the butter mixture before adding the next. Mix in vanilla. Mix in the flour mixture. Scoop the dough out onto ungreased baking sheets by rounded spoonfuls. Bake in the preheated oven until slightly browned at the edges, 9 to 11 minutes. These flatten out A LOT, so spread them far apart on the cookie sheet and 350 is a littlee to hot because the middle doesn't cook as fast as the outside. On the otherhand, they taste VERY good !! Easy to make. Very subtle cookie ... not rich or overly sweet. I think I was hoping for gooey cookies with a very "cinnamony" taste. I agree they taste like a cinnamon cake. These cookies seem more of a cake texture than a cookie texture, but nontheless, they were really delicious and easy to make.